We’re thrilled to see Tillotson Design win an IALD Award of Excellence, for their ground floor refurb of 599 Lexington Avenue. 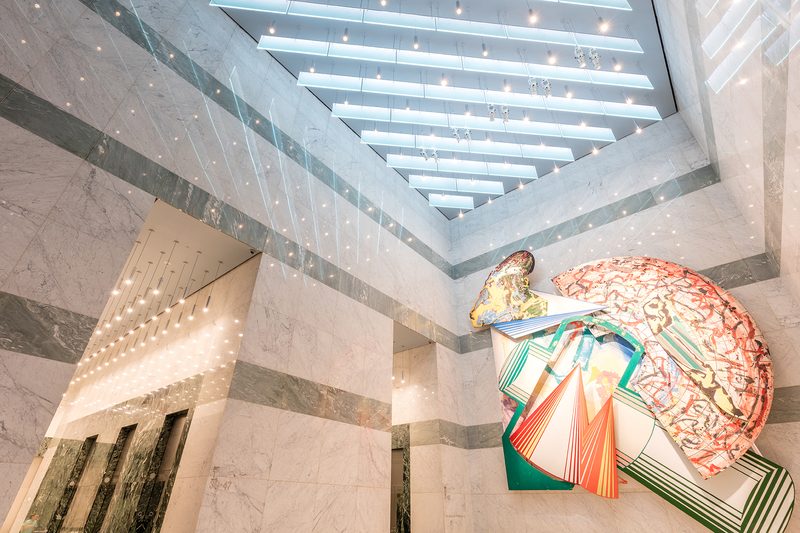 As part of the lighting element of the redesign, we were commissioned to manufacture bespoke suspended Spectraglass fins, to create a breathtaking illuminated ceiling. 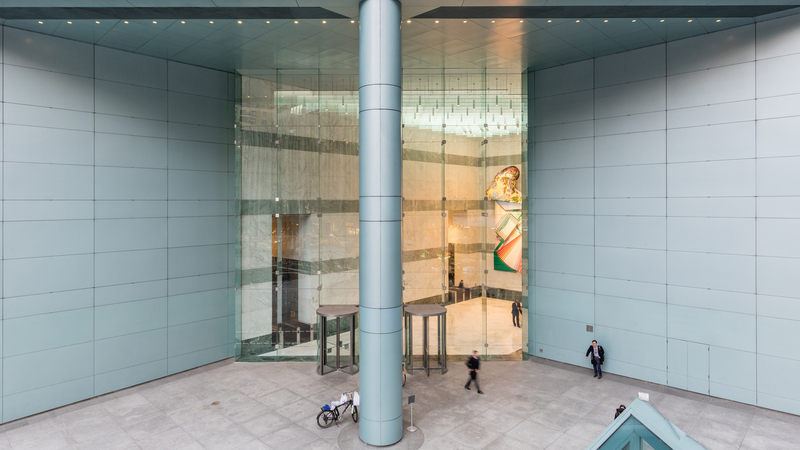 599 Lexington Avenue; the refurbishment of a three story atrium space in New York City, designed by FX Fowler Architects and Boston Properties. 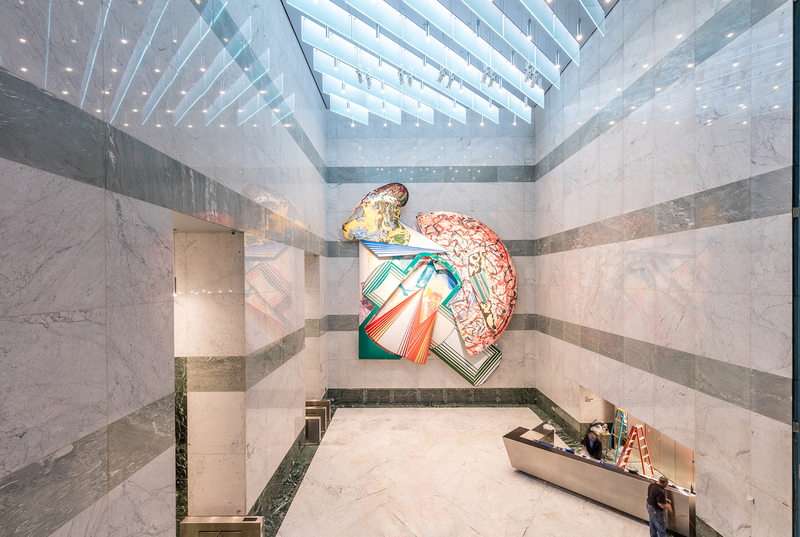 The space was angled for visibility right along the length of Lexington Avenue, with the lighting design team at Tillotson Associates envisaging illuminated acrylic panels suspended from the ceiling. When reviewing the products available on the market, they found The Light Lab product spectraglass to offer the most even and subtle lighting effect. With the challenge of suspending glass 20m up, the client was reassured that The Light Lab could take full design and manufacturing responsibility for the metal hardware, aswell as the lighting and glass. 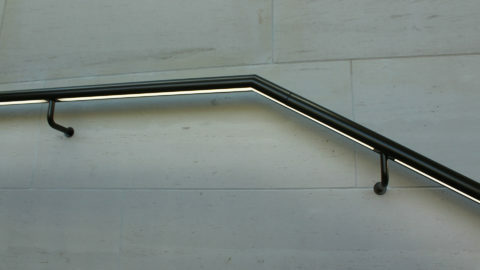 The project consisted of 69 same size panels 2.1m x 0.75m – edge lit with LEDs from the single top horizontal edge – leaving the bottom edge visible. The challenge of a project such as this, when we are not installing, was overcome by insisting a full mock-up panel to be installed in situ – and reviewed by ourselves for approval. This way we could ensure the level of installation not only met the safety requirements but also the precise lighting detail.